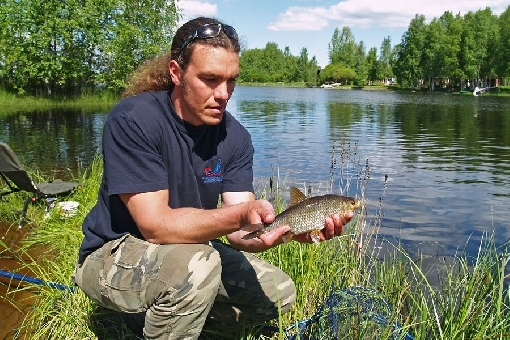 Roach is the most numerous species of fish in Finland's lush waters, while also forming strong stocks in rugged lakes. Anglers setting out for a fishing trip in Northern Lapland may, however, be in for bitter disappointment when they realise that roach are nowhere to be found. 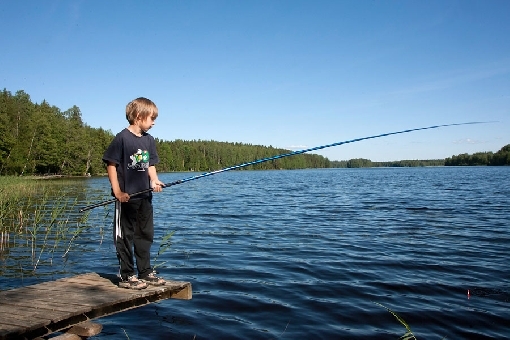 But not to worry: you can catch real whopper roach in Southern Lapland. 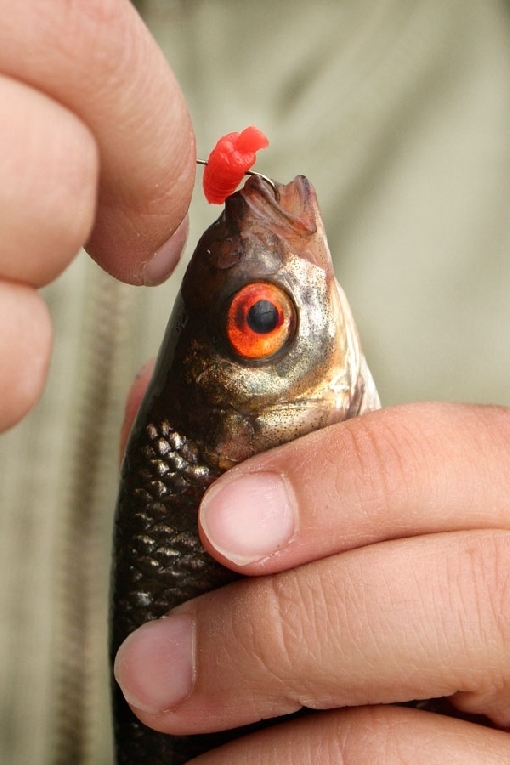 In addition to perch, roach is one of the easiest species to catch. In summer, the main season runs from mid-June to the end of August. 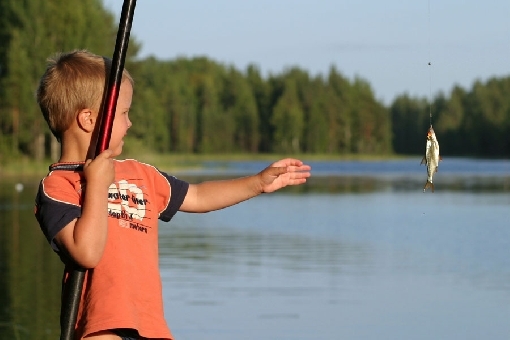 The spawning period at the turn of May and June promises a real spawning celebration for anglers on many shores. Hook-and-line angling for roach is a form of holiday fishing that is sure to yield some catches. 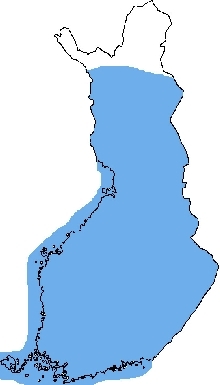 Lake Ruokovesi, Heinävesi. Roach are pursued by angling in the shore waters. A school of roach is constantly on the move and can be located as they poke at the surface. Angling roach at the end of the jetty close to your cottage is a free and easy pastime. 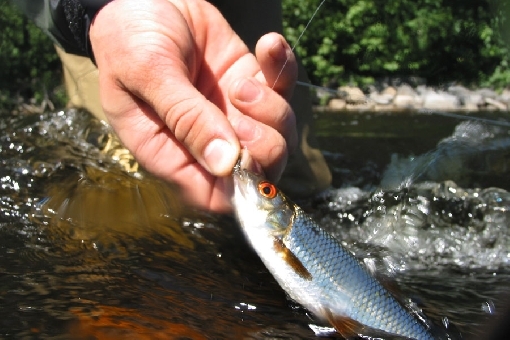 Big roach are pursued at the bottom, while small ones can be found at mid-depth. In winter, it's a good idea to look for roach in bay waters and at the edges of banks where the water is a couple of metres deep. The best bait includes maggots and bloodworms, but a regular angleworm works well too. Roach used to be an important food fish back in the day. Roach can be prepared for delicious canned foods and they can be fried in the pan as butterfly fillets with onion and pepper. Few Finns can appreciate the culinary qualities of roach these days.